First of all you need to make a proper diet plan that contains foods rich in calcium and Vitamin D. Though Calcium is vital to prevent and cure Osteoporosis but vitamin D is also important because it helps in better absorption of calcium in bones. You must include low fat dairy products in your daily diet plan because are the richest source for Calcium and Vitamin D. Low fat or skim milk, low fat yogurt and cheese are excellent sources of calcium. The lactose or sugar in yogurt, has already been broken down, so even many people who are lactose intolerant can eat it and get the benefits of the high calcium content. Include fresh fruits in your diet plan specially apples, figs, pears, bananas grapes, pineapples and oranges contain many important nutrients that are really essential to restore your bone density. Fresh green vegetables specially broccoli, spinach, collards, and kale are good choices to treat osteoporosis. Try to include at least one of them in your daily diet plan. Every morning eating a handful of sesame seeds helps a lot to treat osteoporosis. Sesame seeds are rich in calcium but also contain a good amount of magnesium, phosphorus, fiber, vitamin B1, zinc and iron. Soy products specially soybeans are very effective in treatment of Osteoporosis. Besides calcium and protein they contain a good amount of magnesium, potassium, phosphorus and zinc and all of these nutrients are very essential to restore your bone density. Fish specially Salmon and Sardines are also very beneficial in treatment of osteoporosis. Salmon and Sardines are high in calcium but salmon is also a good source of vitamin D.
Fish oil supplements also help increase bone mineral density due to the omega-3 essential fatty acids and vitamin D content in it. A simple option is to take 1,000 mg of fish oil supplements once daily with a meal or consult your doctor about the daily dosage of fish oil supplements. Note: If you are taking blood-thinning medication, you should not take fish oil supplements without consulting a doctor. Almond milk is also very beneficial in curing of Osteoporosis. You can prepare almond milk at home. Simply soak 6-7 almonds in water for whole night. Next day peel them and blend them with milk.You can use cow's milk, goat's milk or Soya milk for blending the almonds. At the time of breakfast try to drink a glass of calcium fortified Orange juice which is really beneficial for restoring bone mass. Manganese rich foods are also very beneficial in preventing and treating osteoporosis. Manganese deficiency has been linked with bone malformation and bone loss, which in turn can cause low bone density and osteoporosis. Pineapple, oatmeal, nuts, beans, cereals and spinach are good sources of manganese. Above all regular exercise is one of the most important things you can do to fight against osteoporosis. Light-weight lifting exercises are really good because when you force a bone to carry a load or work against an opposing force (such as gravity) it prompts the body to produce more bone cells, increasing the bone's mass and making it stronger. Besides light-weight lifting exercises walking is also good for patients of osteoporosis. Avoid all such exercises that put pressure on your spine (vertebrae) because they may increase risk of bone fracture. Better to consult your doctor before starting any exercise program for osteoporosis. (i)Your daily calcium intake should be in between 1000mg-1200mg but if you don`t get this amount by your daily diet plan you should take calcium supplements prescribed by a qualified doctor. 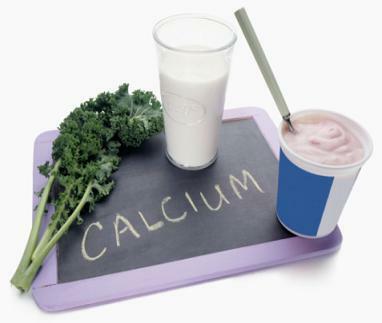 (ii)Avoid anything that increases the risk of eliminating or causing the poor absorption of calcium. So avoid all calcium robbers specially strictly avoid too much consumption of refined carbohydrates, too much sugar or slat, soft drinks and also avoid too much consumption of red meat because all of these increase calcium loss. (iii)Avoid alcohol or smoking because excess consumption of alcohol and smoking inhibit absorption of calcium. (v)Reduce stress that can lead to higher levels of cortisol, a hormone that causes minerals to leach out of bones. (vi)Along with above tips, regular checkup with a qualified orthopedic doctor is necessary until you are fully cured.